Bright, colourful plate of Thai salad or Yam Yai. 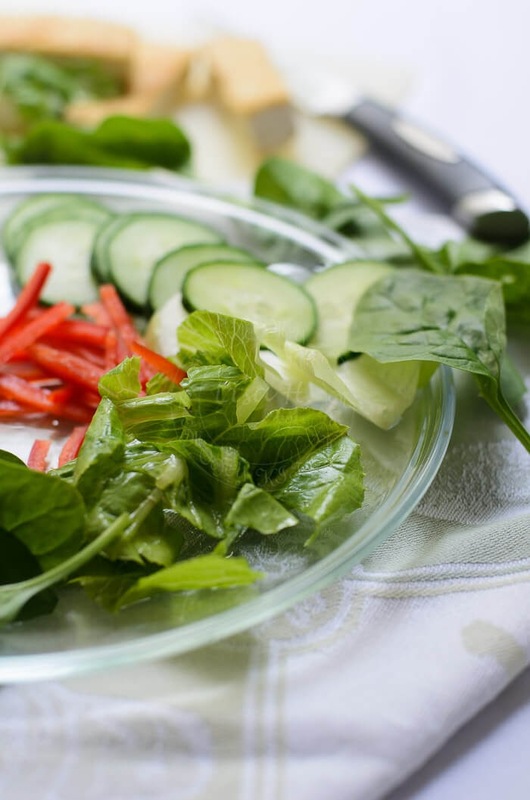 Thai salad or Yam Yai as its known to local Thais, consist of mix bag of fresh crunchy greens like Lebanese cucumber, crisp cos lettuce, sweet and slightly tart cherry tomatoes, sweet red capsicum and spinach. Steam vegetable like broccoli or cauliflower (not included) are added to the colourful plate. Cubed beancurd as well as eggs are added to, as the source of protein. 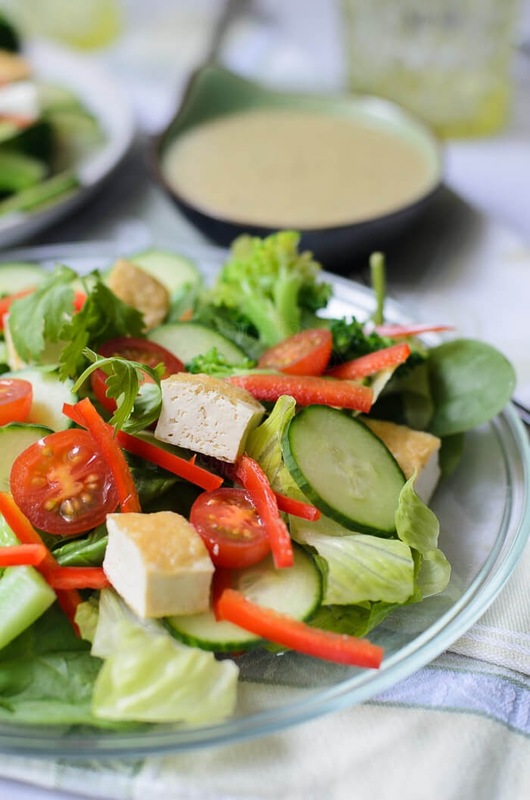 And the peanut dressing...is just perfect to go with this colourful summer-y Thai salad. Its creamy, rich, sweet, salty and sour-ish... the 3 main taste of any Thai food. The only ingredients that was missing in the dressing was chilli! You can either halved the amount of peanuts in the list below or increase the amount of sugar, salt and vinegar as you add more water. 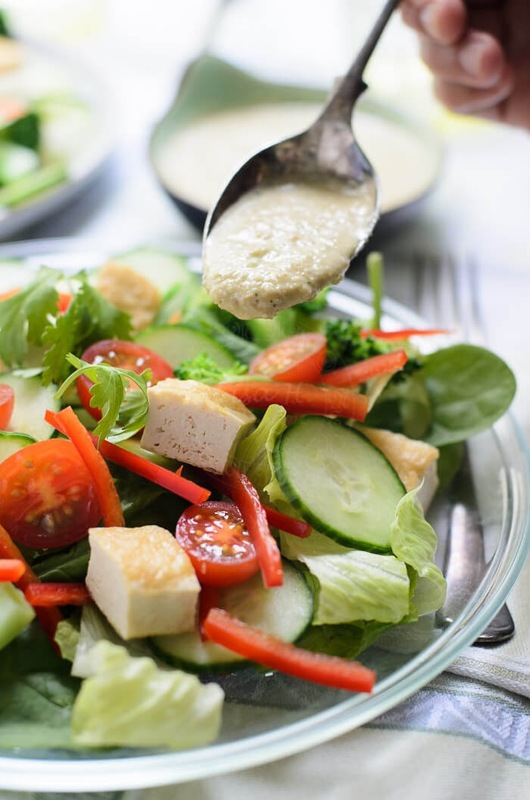 What we are looking for ~ is NOT a thick dressing that is as thick as satay sauce, but we are after salad dressing, that is quite runny / fluidity. My apologies to readers who are allergic to peanuts... I have not tried any other nuts, and if I do, I will update this post with a note here. 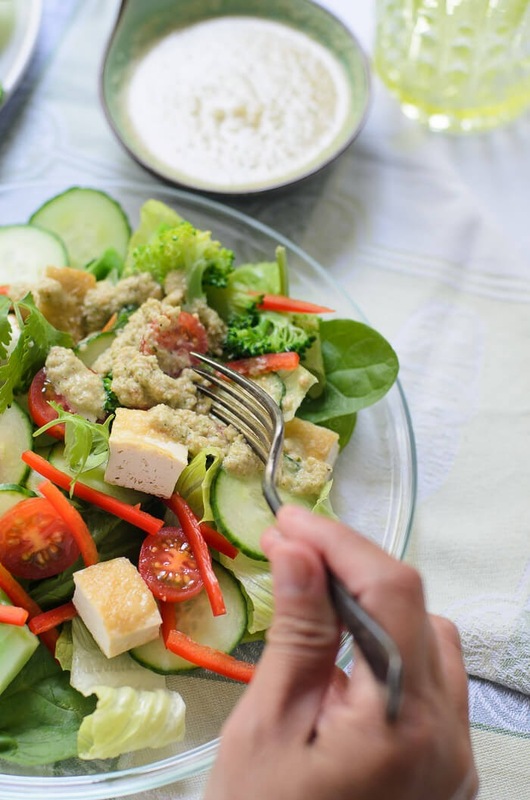 If I wanted something different from the usual lemon and olive oil dressing, I'd go with this Thai salad. Check out my nostalgic post on Malaysian-Indian salad or known as Pasembur to the locals. Thai Salad known as Yam Yai. 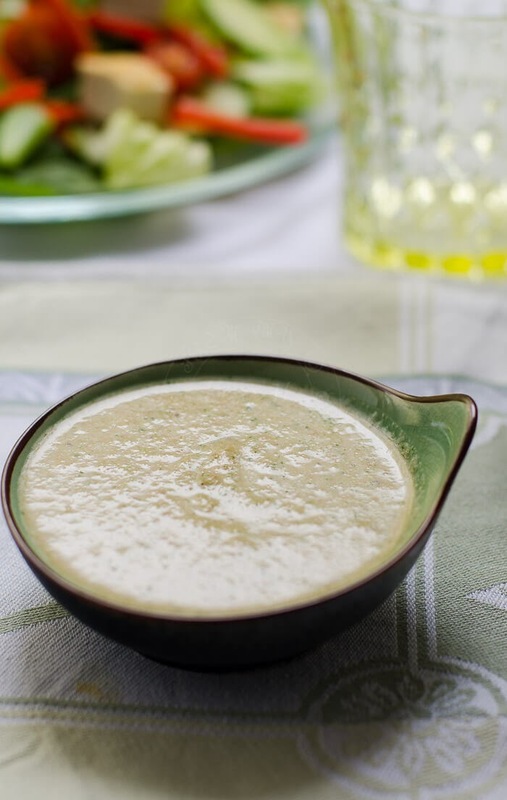 Serve with peanut dressing. Put all ingredients in food processor and processed until smooth. Add water by tablespoon until the dressing is thinner. Again check for vinegar, sugar and salt. Pat dry firm beancurd, halved. Spray oil on all sides. Cook beancurd on frying pan till brown on all sides. Cut into 2cm cube. Set aside. 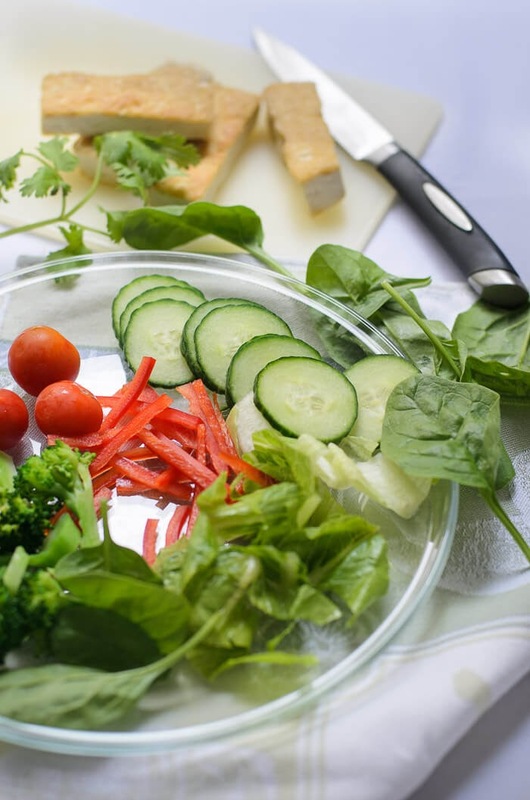 Arrange vegetables/ leaves and beancurd on platter.